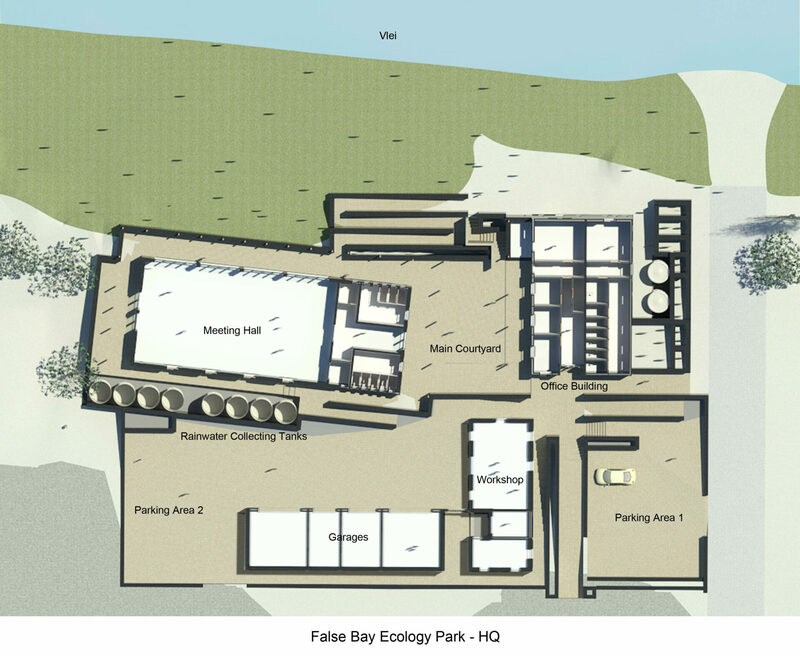 The addition of the workshop, garages and hall is the completion of the 2nd and 3rd phases of the False Bay Ecology Park. The additions are organized around a courtyard area with a bench and shade tree. The project incorporated the sustainable systems used in the 1st phase, but with none of the walls being built with sandbag technology. We look forward to the 4th phase – accommodation and information area.